SOMETIMES THE stats do lie. 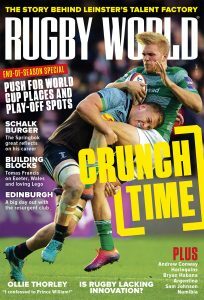 If you didn’t know the score at Murrayfield on Sunday and were just handed the match data afterwards, everything would suggest that Ireland had beaten Scotland comfortably and would be joining Wales and England in having a shot at the Championship title. 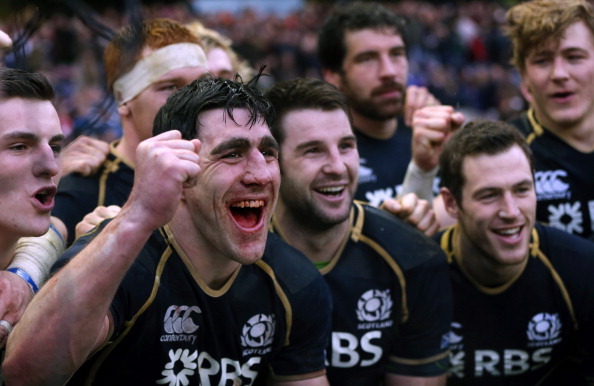 But as everyone knows by now, against the odds, it’s Scotland who earned that right. 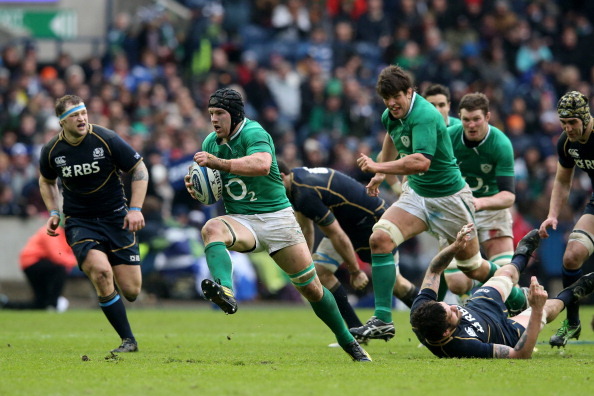 In terms of possession and territory, Ireland averaged 70-80% with four line breaks to Scotland’s zilch. Not only that, they made 124 ball carries (22 alone from Sean O’Brien) when the hosts had 35 in total. Ireland should have had the game wrapped up by half-time but with only three points from the boot of Paddy Jackson on the board at that stage it spelt trouble. After the defeat to England Jamie Heaslip fronted up and admitted that too many silly mistakes had stopped Ireland from winning the game. Against Scotland they seemed to have mostly eradicated those errors but that was simply replaced by an inability to finish. Within the first 10 minutes Luke Marshall showed his potential making two sublime line-breaks. For the last few years Ulster fans have talked about this talented young center coming through, “He’s the real deal”, “The next Brian O’Driscoll,” and like Craig Gilroy in November, and Simon Zebo against Wales, Marshall delivered on his Six Nations debut. For Ireland’s other new recruit, Paddy Jackson, the day did not pan out quite so well. In terms of controlling play, threatening the gain line, pulling defenders, making tackles and delivering ball, he came out with credit. The primary role of the outside half is to be the place kicker – an added pressure to his debut, particularly when coming back from an ankle injury. When Jackson missed his third kick, cries went out for Ronan O’Gara to come on and do what he has done for the last 12 years; control the game and kick the points. However he didn’t manage it against England and unfortunately it was more of the same at Murrayfield. O’Gara looked a shadow of his former self and this was compounded with that cross-field kick along his own 22 that almost resulted in a Scotland try. Paddy Jackson did not lose that game for Ireland. Some of those much more experienced than him made poor decisions and just underperformed. Ireland show all the signs of a team in transition. Their performances are inconsistent, even within the same match and although we’re seeing exciting talent finally emerge, they need time to settle into their international surroundings. The big question is what happens next? With Ireland’s Championship hopes dashed, it will be interesting to see how Declan Kidney approaches the remaining two matches. It becomes even harder for him knowing his own contract is being discussed in the corridors of power. Kidney could use the France and Italy games to allow his younger plays to gel and gain more experience in international rugby but at the same time he has players who need their Six Nations to finish well if they are to have any hope of making the Lions tour. Warrren Gatland was at Murrayfield and there could well be a couple more Scottish names on his team sheet this week at the expense of their Irish counterparts. Troubling times, indeed.